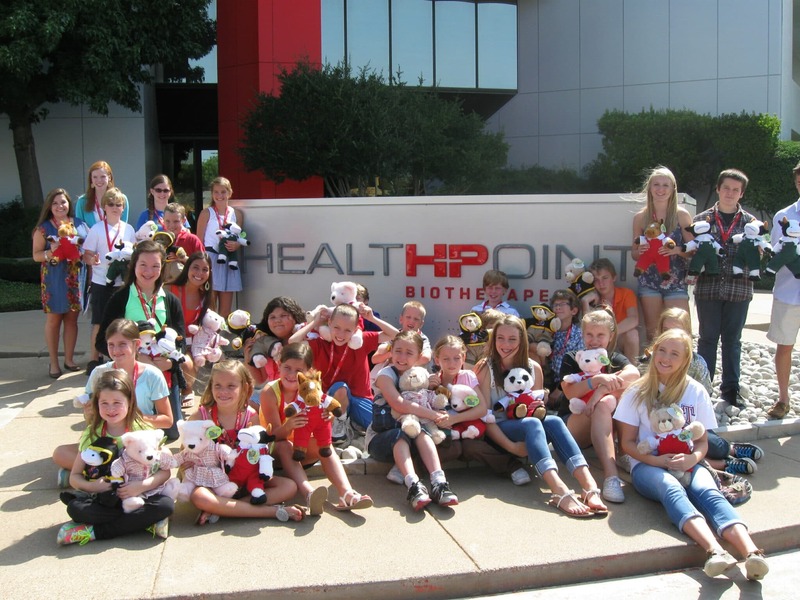 HealthPoint of Fort Worth, Texas hosted the Rescue Bear ® team building event for “Bring your kids to work day” the group of twenty six kids from the ages 8-16 started the day with a catered breakfast then on to the Rescue Bear ® event. HealthPoint’s experienced Research and Development team helps accomplish our mission by bringing novel biologics and pharmaceuticals to market. HealthPoint believes in the importance of giving back, community participation is more than just an idea we encourage––it’s one of the core values that guide our practices. 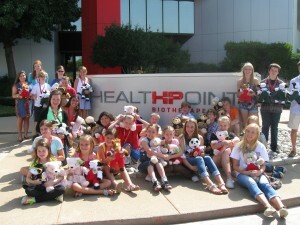 From our perspective, community involvement is one of the defining features of a health care company so HealthPoint works with a local charity, The WARM Place. Families in our community turn to The WARM Place to find the emotional support and help that they need after a death loss. They provide grief support services at no charge for children ages 3½–18 and their families, as well as young adults ages 19–25, who have experienced the death of a mother, father, sister, brother, or other loved one. Every child that walks through the door receives a teddy bear to offer some comfort as they go through the program. The kids along with their parents made posters for The WARM Place about helping hands and giving back. The group solved clues to acquire the bear parts to assemble the bears. A representative from The WARM Place came by to tell the kids who the bears go to and how they comfort kids. Melanie the HR Manager for HealthPoint put this event together for the staff and was so pleased with how much fun they had and the creativity the kids portrayed in their posters.